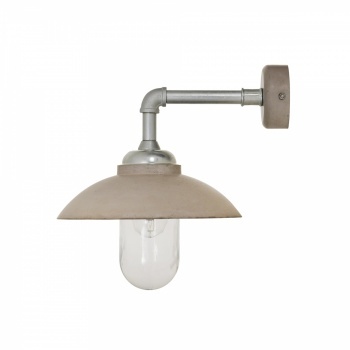 The mix of industrial materials make the Southbank Canopy Wall Light a striking choice for your exterior. 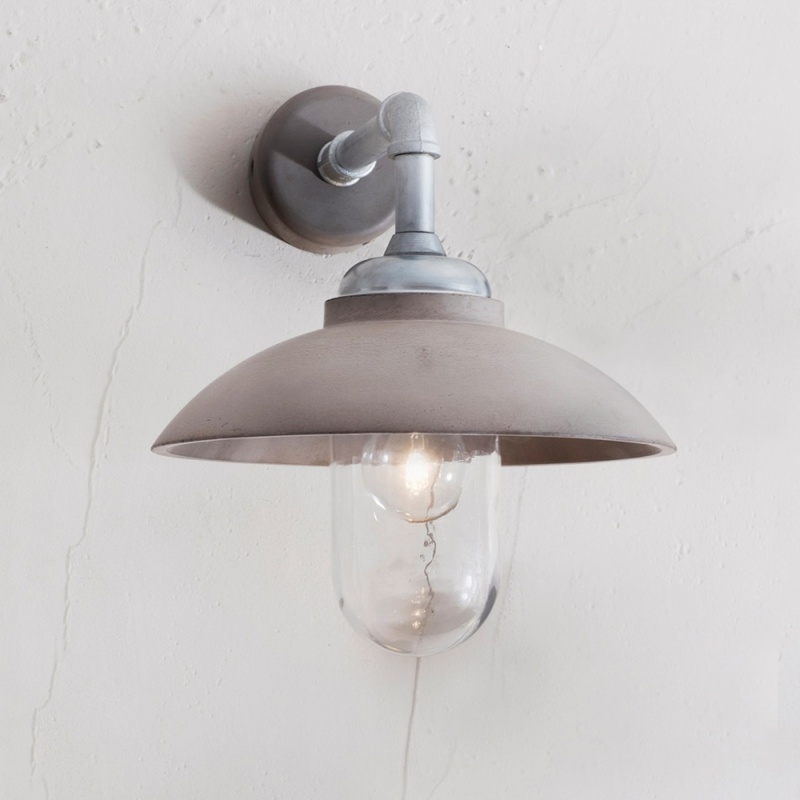 Crafted from Polymer Concrete the shade and back plate have tones of brown and grey and the material has been kept raw, allowing the natural markings to shine through. 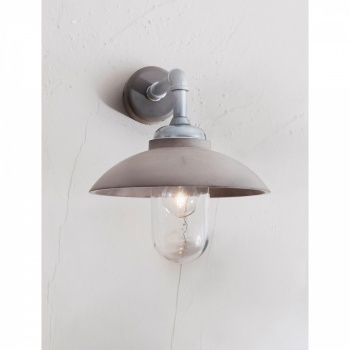 We've teamed it with the Satin Nickel water pipe arm, marrying together two industrial elements to create an eye-catching outdoor wall light. Designed for use with a E27 light bulb, it's encased by the glass shade protecting the contents from any changes in the weather. Inspired by London's Southbank Centre, the industrial design can be styled with modern 21st century apartments or Victorian townhouses. 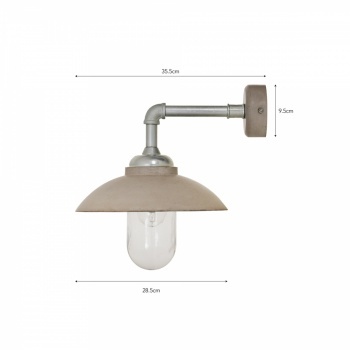 The Southbank Canopy Wall Light would also be ideal for businesses, fixing on the exterior of your shop, restaurant or hotel premises.